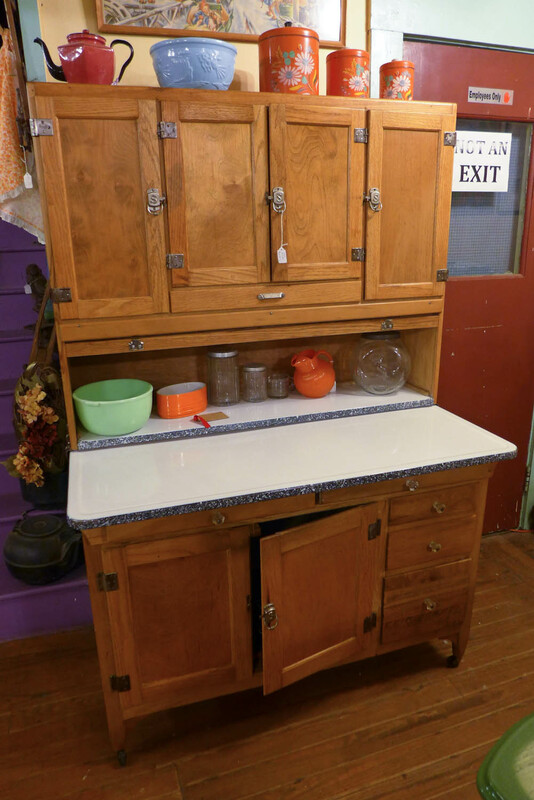 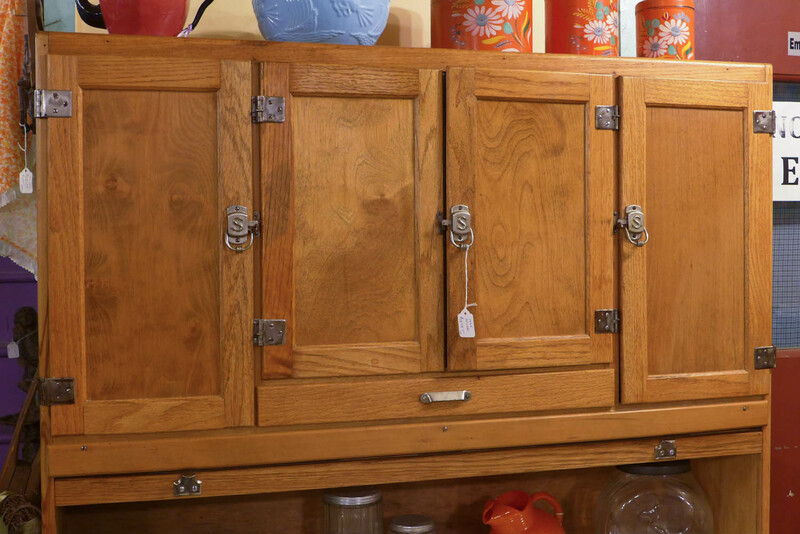 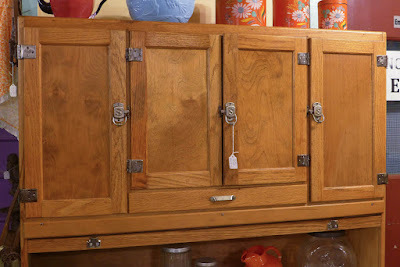 Originally painted, this big 48" wide Sellers cabinet was refinished in a "golden oak" tone some years ago. 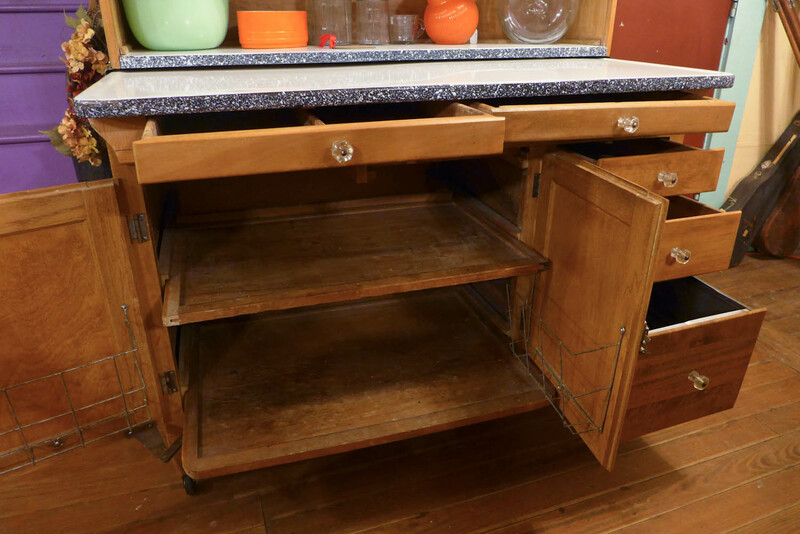 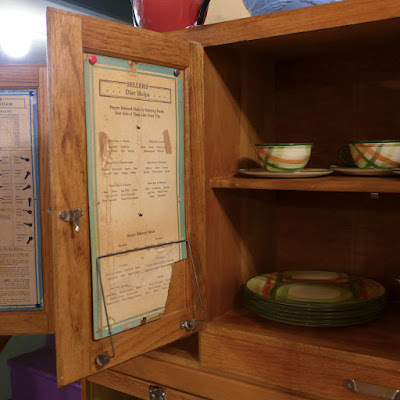 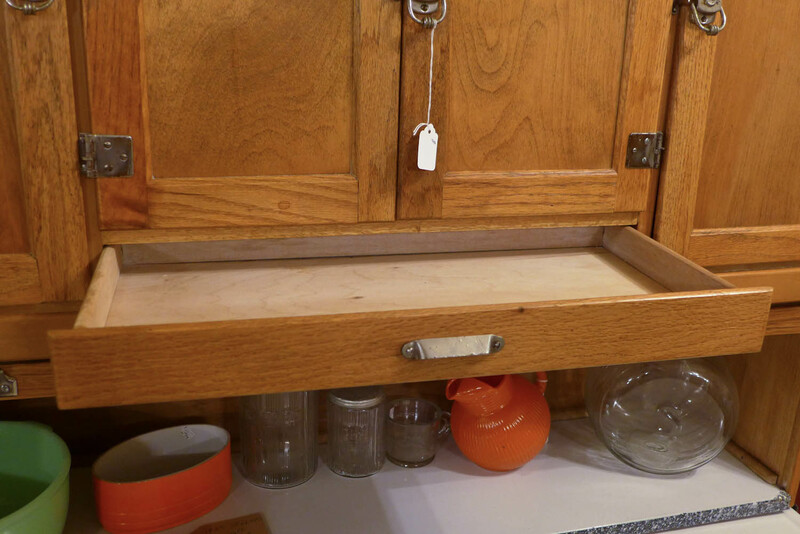 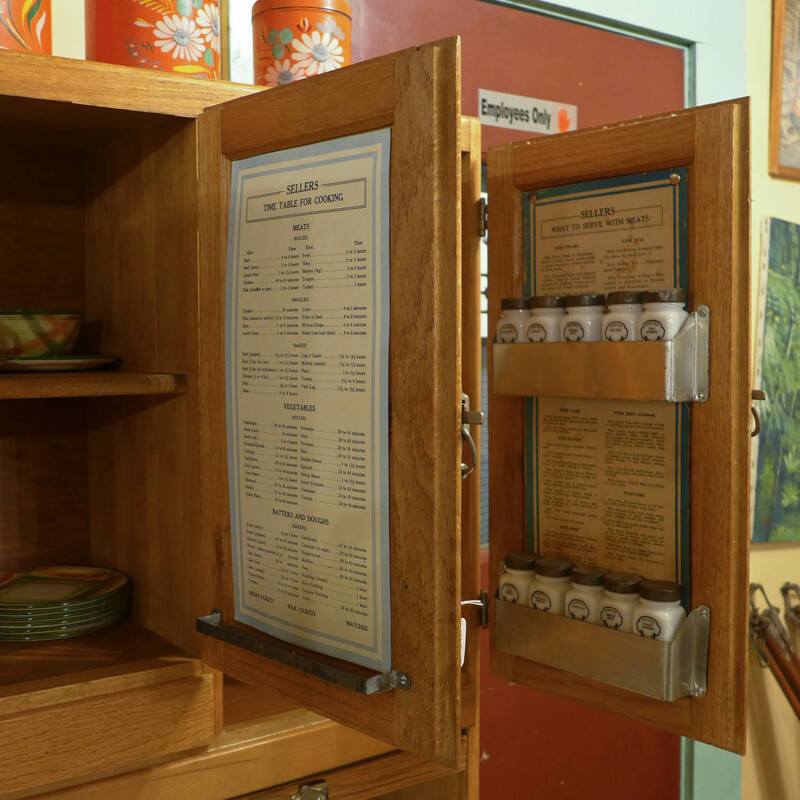 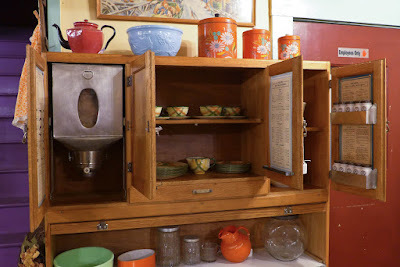 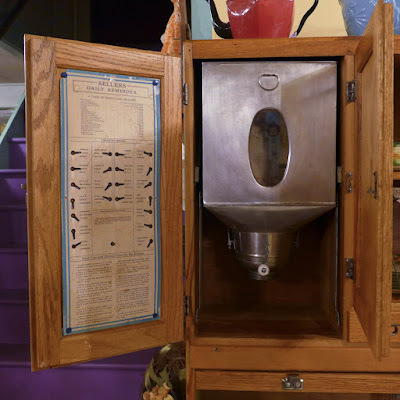 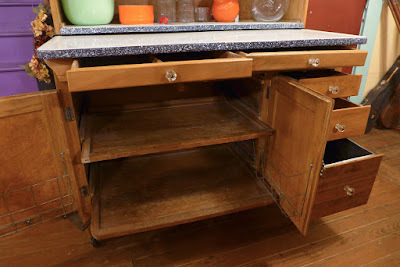 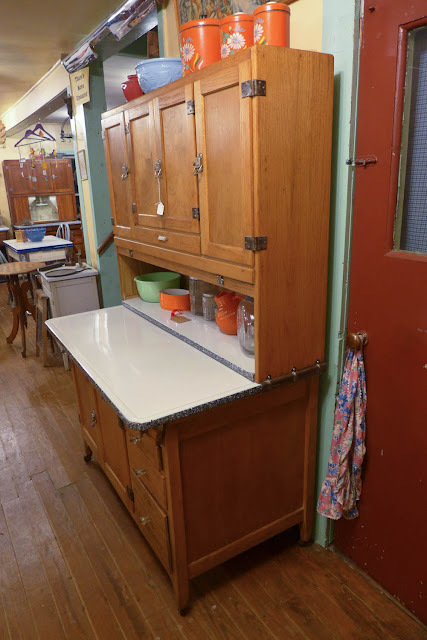 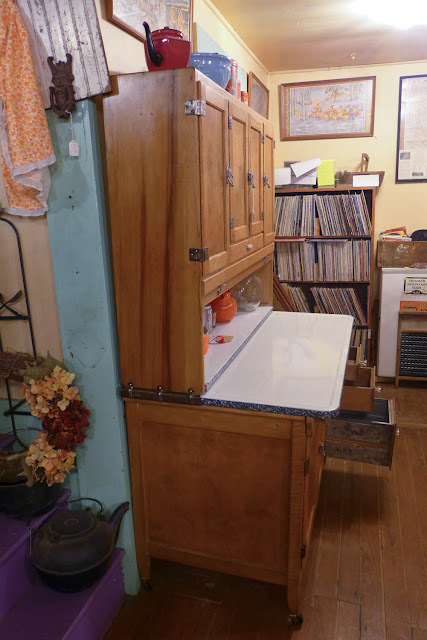 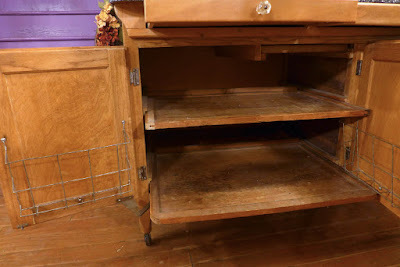 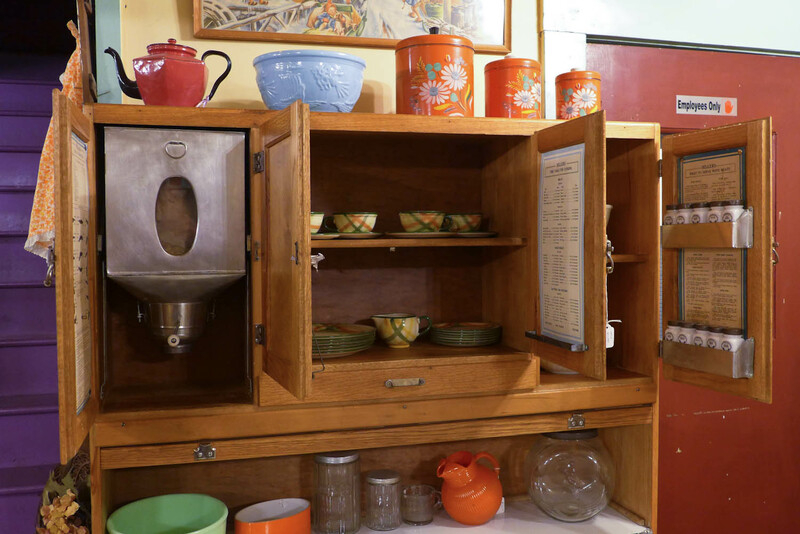 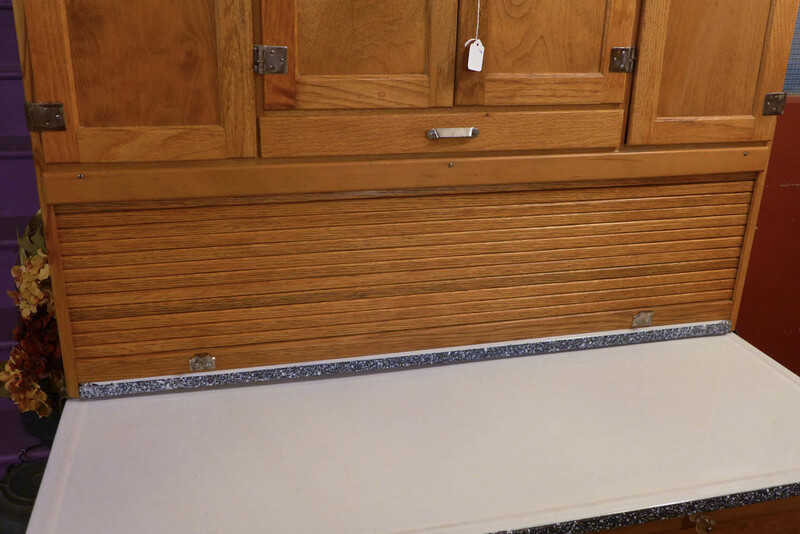 It looks great and has tons of storage and some interesting features including a lower tray in the bottom that automatically pulls-out when you open one of the doors, a roll-top front panel, extra utensil drawer in the middle-top, and "pie rack" shelves in the top-right. 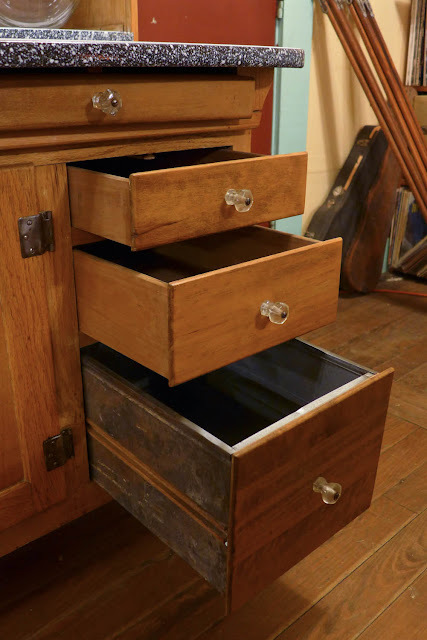 Because it was originally painted, the wood selection is mixed but much of the framing is in oak with panels of mixed wood -- poplar, birch, and maple -- all good, hard stuff. sold quickly! A beautiful cupboard.